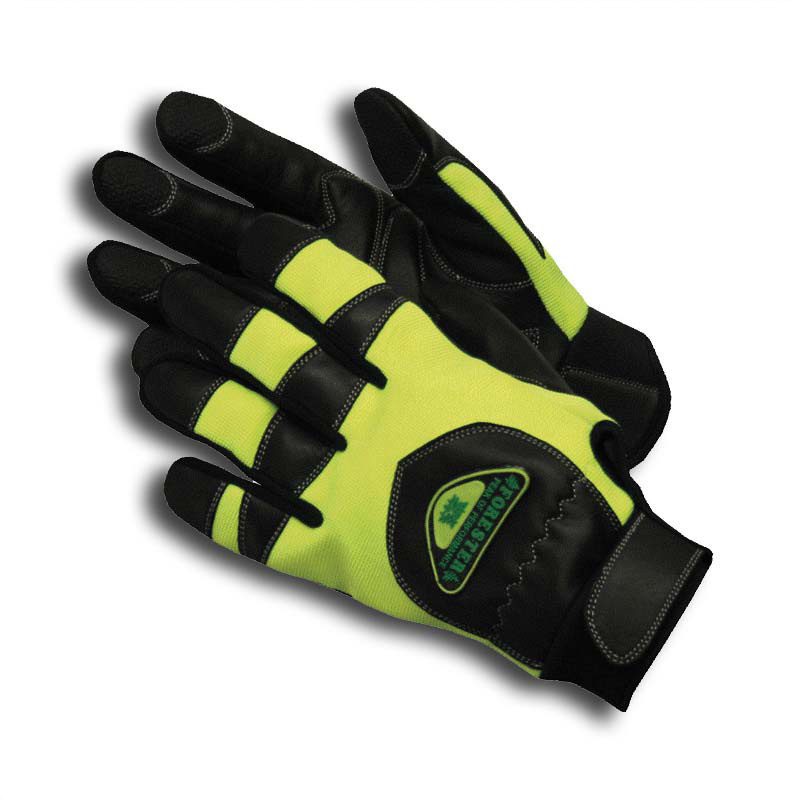 The Forester Kevlar Lined Anti-Vibration Chainsaw Gloves are one of the most comfortable protection glove you will wear. The 100% goatskin leather palm will help ensure a long lifespan while in use. The glove backing is made of a Polyester/Nylon breathable spandex for all day wear. They also feature a neoprene cuff with velcro closure. WARNING: No one can guarantee that an injury will not occur or be less severe because an operator wears this protective garment. This Glove is not Intended to substitute for good safety procedures in chainsaw use.